Enjoy Livermore Wineries and spend the afternoon shopping at the newest San Francisco Outlets with more than 100 Top Brands shops. 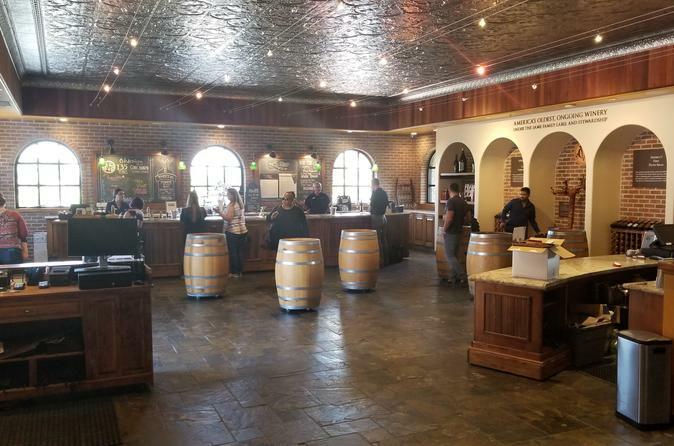 We will pick up and drop off from San Francisco majority of hotels in downtown and take you to Livermore Winery area to taste two very different style wineries with great wines. After that, shop at Bay Area's newest outlet mall with over 100 top brands shops. After shopping, sit back and ride back to San Francisco in the luxury van. We will pick up and drop off from majority of hotels in downtown San Francisco We will start pick ups at 9:30 am in Union Square area until 10:15 am in Fisherman's Wharf Area. Then head out to Livermore Winery region where you will visit two of the areas best wineries. After that, we will take you shopping at the newest outlet mall in the San Francisco area with over 100 top brands shops. You may have lunch at the food court where multiple choices you can choose from for your lunch. After shopping for approximately 4 to 5 hrs, sit back and ride back to San Francisco in the luxury van. By the time you return to San Francisco, it should be approximately around 6:30 pm to 7 pm, perfect time for dinner in the city.